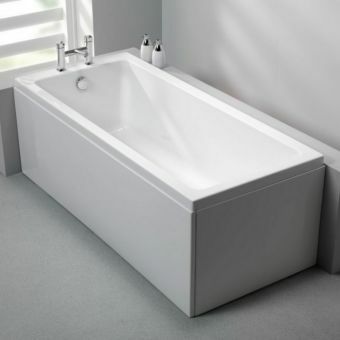 An outstanding addition to the bathroom, this 1700mm wide bath is spacious and sleek, offering a level of comfort that is hard to beat. 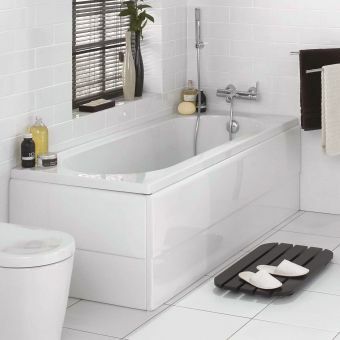 Its flat sloping end offers a comfortable soak for anyone and as it comes in two widths of 700 and 750, even a fuller figure can relax with ease. 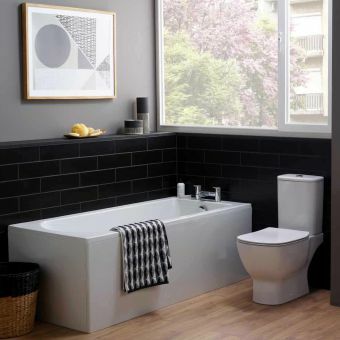 The included waste with overflow filler is unique to the Celsius range and means a tap is no longer needed, only a wall mounted cpontrol valve, simply turn the handle and the bath is filled ready to go. This modern masterpiece is made from Carron's own unique material, Carronite. This is super-strong and will keep your bath warmer for longer as well as providing a stable, movement-free bathing experience. Size: 1700(l) X 700(d) X 540(h)mm - 265 litres. Size: 1700(l) X 750(d) X 540(h)mm - 275 litres. 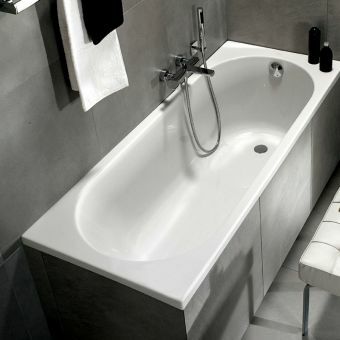 All Celsius baths are manufactured in Carronite, Carron's unique, patented manufacturing process. 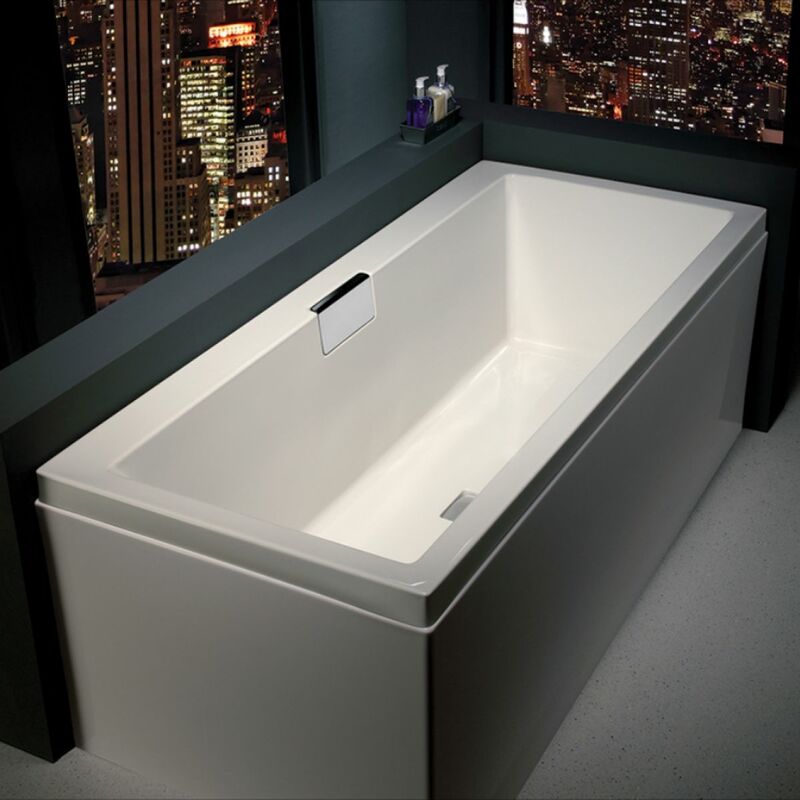 A feature throughout the Celsius range, the optional one piece L-shaped side panel ensures a flawless finish. 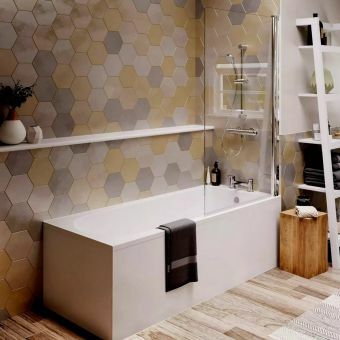 Carronite baths are twice as strong as standard acrylic baths and ensure water retains heat for far longer than in a cast iron or steel bath. Carronite baths have a unique cradle support system; this has been designed to cope with the additional weight of this exceptional material. Complete with a manufacturer's comprehensive 30 year guarantee against manufacturing defects.